Are the kids really calling the shots? 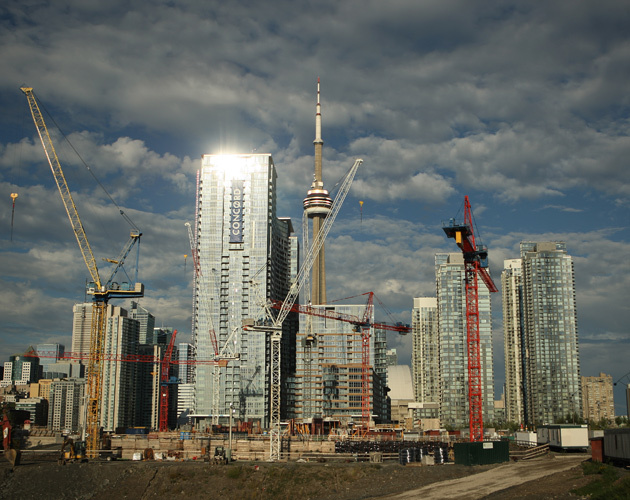 Three or four decades ago, Toronto’s baby boomers were flocking to the outer suburbs of the city but now, according to an observation report by TD Economics, their children are doing the reverse. The report, released on Jan. 22, highlighted that the echo boomers – the offspring of the post-Second World War boomer cohort – are opting for locations in the downtown core. The report suggests that they seek better travel times for work, easy transit accessibility and the comfort of other amenities within the city. Author of the report Francis Fong said in a National Post article that, decades ago, the city’s development was driven by boomers and what they wanted and what they demanded. According to the stats provided, our children might have the same convincing power. It seems the apple doesn’t fall far from the tree; the report labelled echo boomers as a “highly skilled, highly educated, young population …” and Fong indicated the changes they’re causing is as result of their worth. “They want it all … It’s a selling point for businesses to locate here if they want to be able to tap that talent pool,” he said. This addresses the recent growth and development of downtown, more specifically the increase in condo development, which has dramatically risen in the last five years. So by that account, the kids aren’t doing too shabby, it seems. But therein lies the question, within the seemingly optimistic change and outward push of positive growth: will it bring a stumbling block or an embankment of disappointment? Similarly there has been a continuous exodus to Western Canada, more specifically the oil country of Alberta. And the largest city in the province, Calgary, like Toronto, has an increase in the number of echo boomers gathering in its core. Between 2001 and 2006, Calgary’s population increased by 12.4 per cent and, according to the 2011 census, the median age is 34.6 years. There is a similarity as to what pulls people to the hustle and bustle of the city, but there still lies nuances. Calgary has a strong job market, which is the major attraction for our kids, but Toronto is more about lifestyle. So it seems, for similar reasons or not, our kids across Canada are taking the urban route. The report, however, has left many avenues open as to where this current trend will take both echo and baby boomers. It suggests that echo boomers could start demanding larger homes as their families grow, sending them back to the suburbs. While baby boomers could start downsizing and moving to the heart of the city, the option is still open for their children to stay in the city to raise their families. Could there be an impending anomaly that lies ahead? Well, Fong indicated in the article that Toronto is becoming similar to cities like London and New York, saying it feels like the city has reached critical mass. By those standards, history has shown that life is a cycle and, more over, things always seem to begin where it ended. The results of the equation may vary but there is always a variable, a causality of sorts. In 2008, it was the U.S. house and foreclosure crisis, where dozens of American 20- and 30somethings lost their homes and had no option but to move back into their parents’ basements and guestrooms. Increasingly, boomers have been the ones to bail out the younger generation. What will happen when our grandkids start to have kids and families of their own? As ridiculous as it may sound, whatever we leave behind will directly impact the next generation: the feminist cause of the ’70s, the civil rights movement. As we have seen over the years with family businesses and traditional families, we lay the groundwork for the generations to come. Whichever route is taken, the fact remains that Toronto and many other cities across Canada are growing and boomers are still an important part of the mix. So as the trends develop, we have to prepare for changes that lay suspended in the horizon as society eagerly sails along, no matter how opaque the changes may seem. But trust me, we will be ready, kids.